He would prefer not to -- the man who declines to grow old. 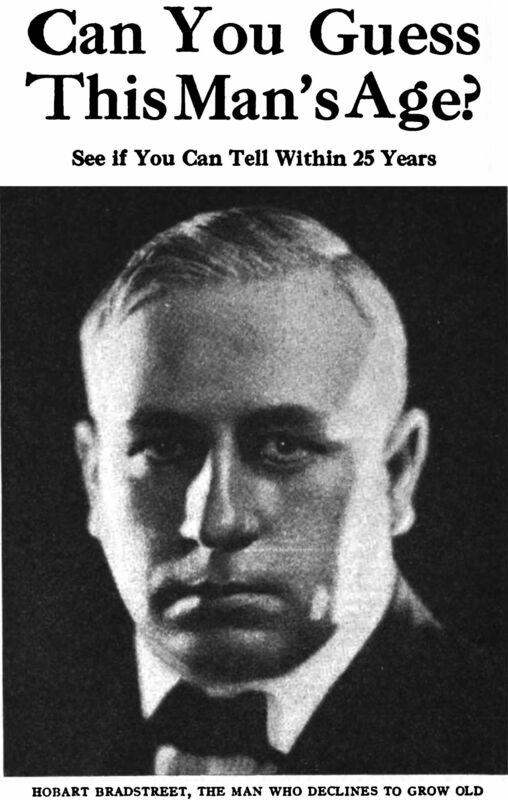 From The Judge, 1922. "Deathless fame." From Cosmopolitan, 1912. 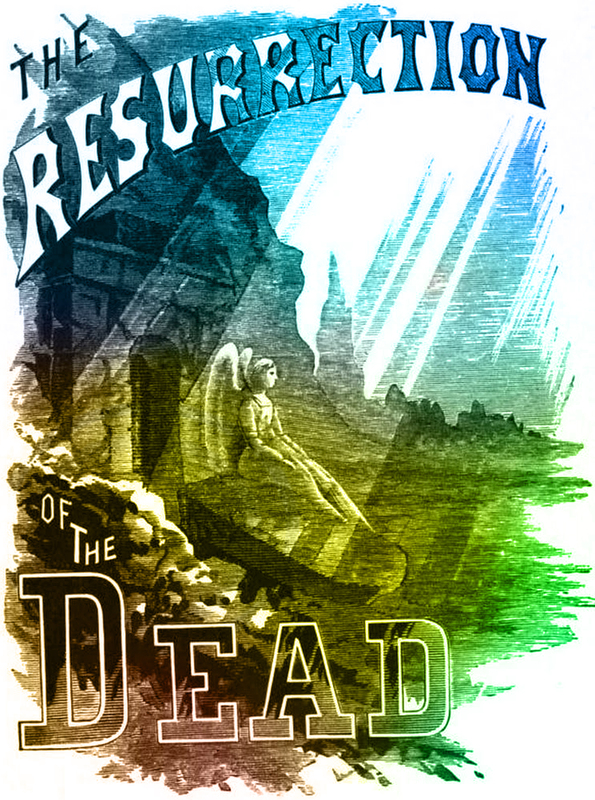 The resurrection of the dead. 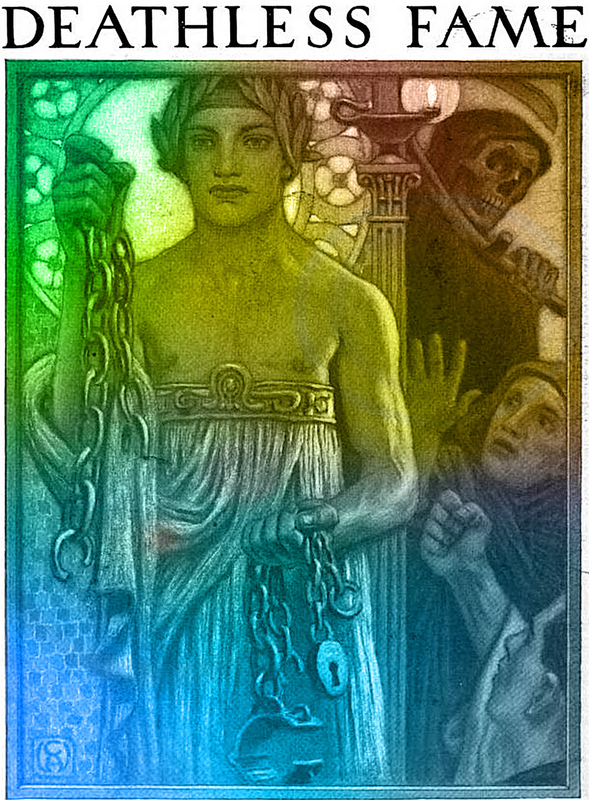 From The Golden Dawn by James Henry Potts, 1883. "The elixir of long life." 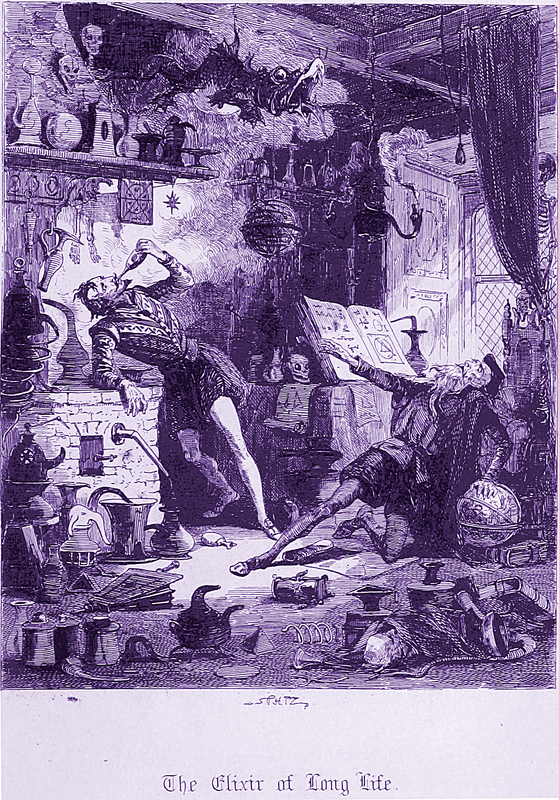 From Auriol, or, the Elixir of Life by William Harrison Ainsworth, 1875. 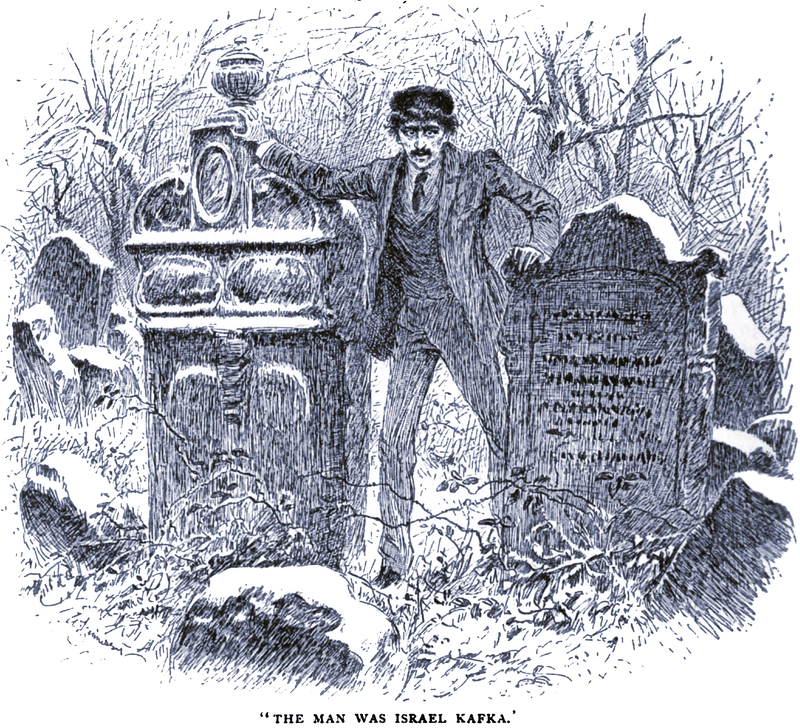 Here's a precursor to Kafka attaining immortality -- it's a Kafka in English Illustrated, 1890. "Why did Kafka not ask to have his physical body—like his body of work—burned? Perhaps he realized that the annihilation of his corpse would not save him from immortality" (J. Zilcosky, Kafka's Travels, 2003). 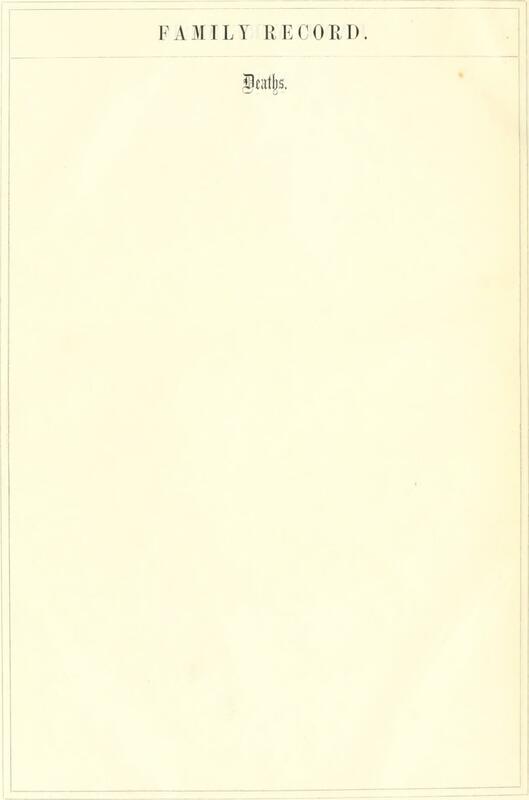 See our book of imaginary Kafka parables, Franzlations. 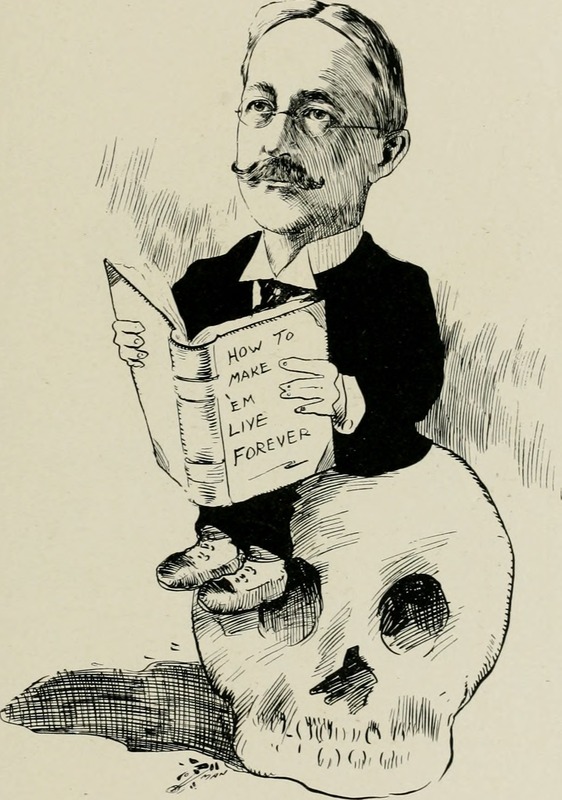 "How to make 'em live forever," from As We See 'Em by Anthony Anderson, 1900. 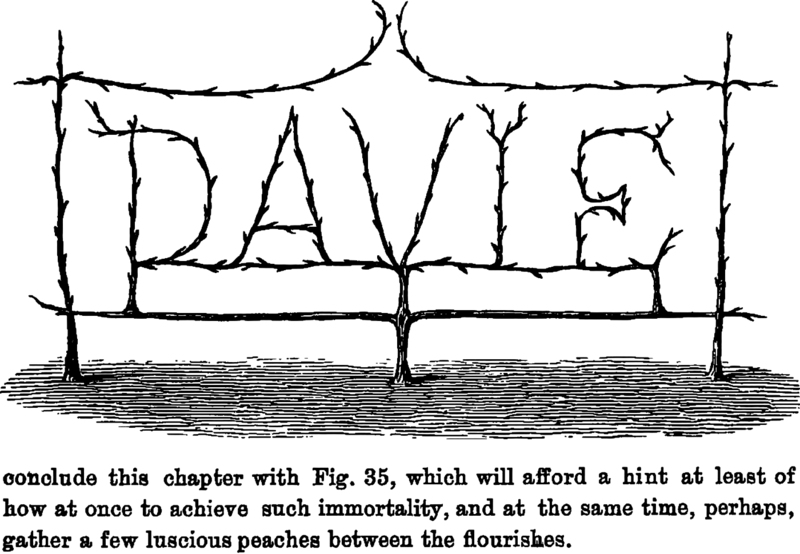 Here's a precious secret of immortality: train a peach tree to spell "Davie," and you'll not only live forever but also enjoy luscious peaches. This we learn in The Peach and Nectarine by David Taylor Fish, 1879. But note in the text that only immortality is guaranteed, and the peaches are a mere "perhaps."